Having dabbled in a variety of events with a bias towards longer, hillier challenges with remarkable success, Lee dropped down to the marathon at London. This was one of his shortest races this year where he returned a very impressive 2:21:43 and earned himself an England call-up at the Toronto Waterfront Marathon in October. 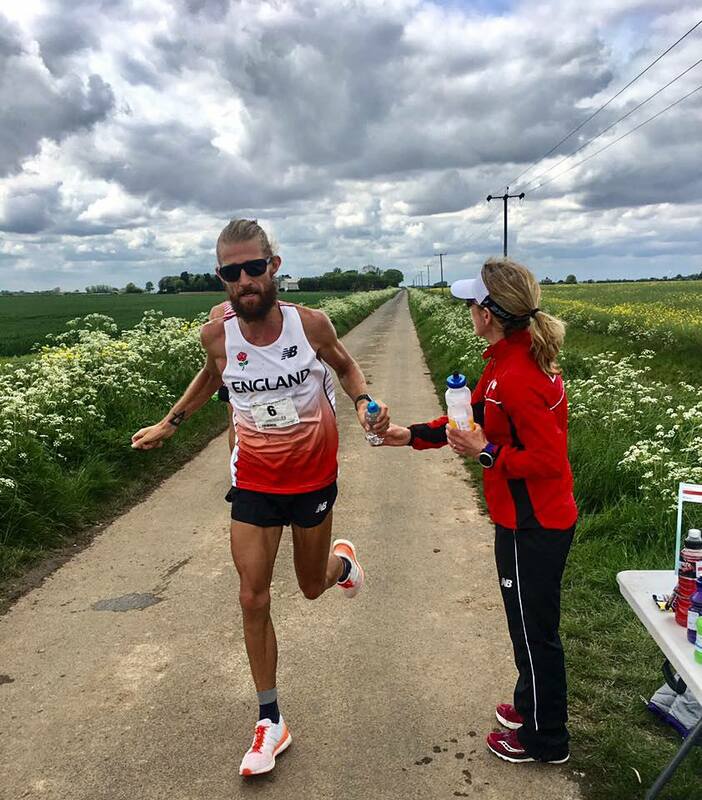 He went on from London to win the Celtic Plate 100km home international in a time of 6:42:42 - the fastest in the world this year and this is one of the fastest ever on British soil by an Englishman. Take note this man is going places... and at a very fast pace! Lee hails from the east side of Manchester having been schooled under the influence of the local fell running legend, Andy Trigg. Andy was Lee's sports teacher and winner of numerous fell events in the Peak District in the '80s and '90s. 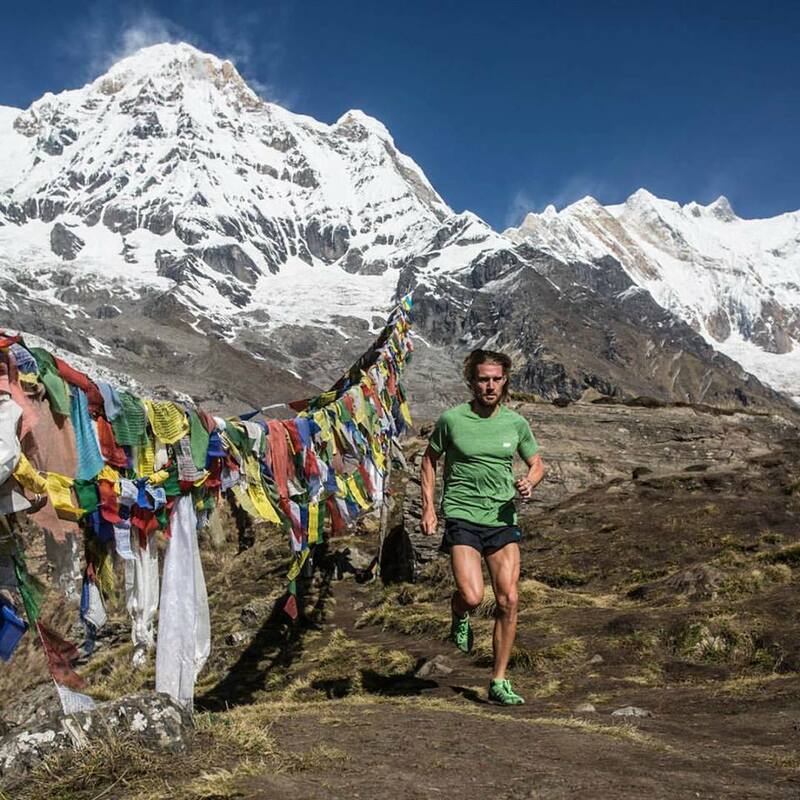 He has a thirst for adventure, ultra and extreme events and has relocated to the mountains of Spain, to become the ultra mountain running guy that very few people are able to catch. His home is in the Spanish mountains of the Sierra Nevada where he is running a regular 100 to 160 km per week and this has led to a plethora of victories across the world as highlighted in the following Q and A session. A world 100km title in 2018 is in his sights as is a UK record, that currently belongs to Steve Way (6:19:20). The world record of 6:13:33 is barely a mile away and he must surely have an eye on this too! 1.How do you plan on improving from year to year? I think that comes with experience. You get to know your own personal limits, how durable your body is, how quickly you bounce back from hard sessions and, ultimately, how quickly you recover. Although I have an overall plan for the year, which includes short and medium term targets; on a day today basis I try to go off ‘feel'. If I feel great I’ll make the most of it, if it’s not the day for 6 x 1km, I’ll push it back a day. In the grand scheme of things small changes don’t matter. To keep moving forward and avoid setbacks is I think what counts. 2. Describe a typical workout (long and intense). I love running up hills. Right now, I’m preparing for a 50k uphill race in Granada in August called Subida al pico Veleta (The ascent of Veleta). It’s a 6-7% gradient in 35 degree heat, mostly at altitude. The workouts for that are all hill intervals or hill tempos, high up and in the sun. The logistics are sometimes tricky, so I spend half the summer hitch-hiking back down the mountain, obviously smelling great. After 100+ rides, I haven't yet been invited to dinner. 3. What is your philosophy in regards to juniors who look up to your outstanding performances? Hopefully in the next year or two I'll accomplish something outstanding that juniors can look up to. It occurred to me a while ago that I wish I'd believed as a kid that if you want to be the best in the world, you can be. Imagine that? To be the World Champion? In the UK, the club system is there for you, the race calendar is packed. You have opportunities that most kids in the world can only dream of. There's probably a running club within jogging distance of your house, that's your first step. We also have a deep history in ultra running that few know of. Don Ritchie and Jeff Norman still hold four World Records from 50km to 100 miles. Don set countless ‘World Best’ times and was relentless throuhout a 30 year career. These guys are a product of our club system, they started in cross-country and now hold world records have stood for 30-40 years. There’s no reason why we can’t excel again in this arena. Those are achievements to aspire to. 4. What is one word or phrase that you hope other athletes use to describe you? 5. What coaches, teacher or other people have been great influences in your life? You never forget where it started for you. My Dad played football and ran cross country. No matter what the day, time, sport or weather, he’d take my sisters and me to play any sport we wanted. Sport was our childhood. Then I was lucky enough to have a teacher at high school named Andy Trigg. He became someone a lot of us looked up to. Old school, unforgettable, and despite his wiry frame, the only teacher you knew not to mess with. He was from a generation that didn’t brag about his achievements. You didn’t know anything more about him than what you saw, which was him riding to school daily (18 miles), then intervals around the rugby posts at lunch before riding home. All I cared about at school was practical jokes and sport and I wanted to be Andy Trigg. It was only after I’d left school that I discovered just what he had accomplished in long distance fell running, course records, fastest known times etc, before the term “ultra-running” was invented. I owe him a lot. 6. Which books or movies are you favourites? I like the classics: Thoreau, London, Orwell, Jack Kerouac. More recently, I’ve got into Hunter S. Thompson’s Fear and Loathing in Las Vegas and The Rum Diary. Right now, I’m reading Don Ritchie’s autobiography and Sapiens by Yuval Noah Harari. I don’t watch TV but when it comes to comedy I haven’t seen better than Stewart Lee. 7. What is one key event that changed your life in a positive or negative way? I think it’s an ongoing development but the day you figure out what excites you and gives you immense happiness is where it starts. For me, that happened when I cycled through Asia in 2008/2009. I wanted time away from everything, to figure out what made me tick. It led me directly back to running in early 2010. Running and cycling are what I live for. 8. Who is your greatest role model either personally or as a coach? I like people who have no regard for the status quo. People who pioneer in their field because they’re able dream the unthinkable. Killian Jornet, Reinhold Messner, Alex Honnold, Bernard Hinault, Göran Kropp, Lance Armstrong, Ueli Steck, Chrissie Wellington and the guys I mentioned earlier in ultra running, especially Don. Nothing gets/got in their way, we know them because they are relentless. 9. What one word or phrase do you want people to associate with your name? 10. Describe the top five priorities in your life in rank order. 2. Become the world champion in 100km whilst breaking the world record. 3. Cycle around the world. 5. Take the downhill cycling KOM segment on Doi Suthep, Thailand. Recently Lee has been on a Scandinavian tour racing a variety of events with his usual dyanamic flow. Winning, setting records and living the dream. We wish him success in the pursuit of his dreams and making history for his and our country.